Mermaids, Monsters and Mythical Beasts. Letter M: Malasadas "Galen shifted closer and softly dusted off my cheek with his thumb. My body jolted at the touch of his fingertips on my skin and I found myself placing my hand over his to stop him. Without thinking, I gently parted my mouth and slowly licked my lips, taking his thumb into my mouth..."
Maps - are paper maps obsolete? 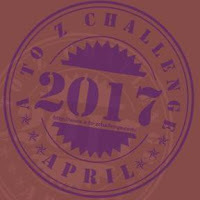 Hello fellow AtoZ Challenge participants! Have you ever traveled to Mount Rushmore?! I want to hear your opinions. What you think. Do you believe in magic?? Today is Good Friday in the Christian tradition, so today M is for Mary Magdalene and the other women at the cross and tomb. Admit it, these two have fascinated our imaginations for centuries. Mars is the only known planet entirely inhabited by robots? The Master Mariner is proving elusive in my search for the truth. Fact or Fiction-Family Stories. Summer brings mangoes and mangoes bring with them... memories. Enjoy sweet and sour Mango Memorieswith us today! 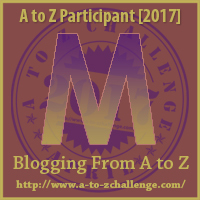 Congratulations to all fellow bloggers, participating "A to Z challenge" , as we have completed half of our journey together. Wish you all a very happy week end! Today’s topics: Maple Syrup, Martin Luther King, Jr; and Migration. Make sure your taxes are filed or you will sink like the Titanic! We talk of gender equality, respect, pay parity and all those big things. What about the basic usual stuff? Why does menstruation have to be such a big deal? It was one of those parenting moments where I didn’t know whether to laugh or cry so instead I scratched my head while my inside voice whispered, "what the f*ck!" M is for More. I am using Amy Krouse Rosenthal's "Encyclopedia of Me" to journal dailt. She has inspired this post especially. M is for one of my favorite authors: Maria V. Snyder! May I make a small suggestion for next year? I haven't done this before, officially, anyway... So I'm finding the daily routine fiddly and time consuming. That doesn't matter so much now, as I'm on holidays, but next week I return to work. I like to do my posts in advance, saving them in draft form till the time comes to post them. Sunday, for example, I can prepare about three posts. But each day I have to return to this site BEFORE posting, collect the letter of the day, return to my draft to add it, post, create my clickable link, then back to this site to add my post to the comments. If you would consider putting together all the letters next time, those of us who prepare posts in advance could save them and only have to visit this site once. Just a suggestion. I have been enjoying this! Today we discuss the Meyers-Briggs test results of me, the owner and proprietor of the Wolf of Words blog. Get a disturbing look into my psyche. #AtoZChallenge 1970's Billboard Hits - M and Battle of the Bands! M is for Moon Halfway in my detective story. This is a great idea for next year! I wrote all my posts in advance (like as soon as I heard about this challenge) and just saved them all in a folder on my desktop. So now I have to wait till the letter of the day badge is posted here, come get it, go to my blog, add my entry for the day with the day's badge, then come back here to post my link. If I could get all the letters at once, then all I'd have to come here for every day would be to post my link, and to find other people's links that aren't showing up on a daily basis in my emails. But I'm loving this too, I'm even trying to think of something to do next month to keep this momentum going (this is the most I've ever posted on my blog, other than book reviews and a couple mini-rants). I have so many writing prompts saved on Pinterest that I haven't used yet, so earlier I was thinking I could use some of those, write little one-shots or longer stories or whatever, and start posting them every day. Or do what someone else on here's been doing, use a random word generator, then free write till I run out of ideas. M is for Maternal. One need not be a mother to have love and compassion in their heart. My microfiction about the same. Today on my A-Z of my Favourite Things, M is for Museums. I'm blogging the letter M.
Letter M: Maps. Every one is a way to see the world! For M, a list of Many things for which i am thankful. Things go awry in one Loretanian's quest to seek help. Rocks to toss at a hero who is a tree. Today is full of MIRACLES. I'm puzzled by this. I saved all the letters from a to z before revealing my theme (which was only two days before the challenge began, granted). I uploaded them all to my blog's library before starting to write the posts. I'm not sure where I got them from, but it must have been somewhere on this site. A vanity plate from Maine and a poem to go with it! Sue, it's actually quite simple. It's the same link every day, except the date and the letter which you can just replace for each individual post, do you know what I mean? Forgot to mention that there's a giveaway too. M is for Meteorite in my LEGO themed post of the day! Time for another another What if..? M is for morphing. What if you could morph into something else? M Is for Mentor Mentorship is a great way to learn to be a leader! Post: M is for “Minimalism” Are you a collector or a purger? Good mornings, blogheads! We're about halfway there, right? We're more than half way through the alphabet. How's the A2Z challenge going for you? You're invited to hop over to visit today's edition of Art Sketching Through the Alphabet "M" (Mermaids) while getting in on the action with round two of #BoTB with Curious as a Cathy! Happy z2zing! How much of 1992 do you remember? Check out my blog for a quick trip down memory lane! Here is a link to my post for M from my blog Weekends in Maine. Thanks for visiting! M is for Might and Main | A design firm that understands my passion for Maine. Memories! Like April's building with her brand-new calf right now. Taking a break from Faerie and writing, and looking at nature as it is right now in South Africa. Today on Sciency Words: A to Z, here's a dumb question: do you know what a metal is? Astronomers sure don't. Deb here blogging about novels for young adults and for those who love young adult literature. My prompt-a-day theme continues with M for Mourning. This one is especially helpful for creating plot complications. Do you give characters religious medals, objects, or jewelry that fit their character arc? Aliens and more sadness. Anime characters. My theme this month is 26 of the best characters in fiction. Today's pick: Mark Watney of The Martian, by Andy Weir. Letter M : Martial law declared? Come to La Yacata and be free! M is for "marriage of hearts"
M is for Music and Mayhem in which I continue the journey of my creative life. A to Z Theme: Bookish Delights. Letter M: We provide a list of our top 6 books that turned out equally amazing in their Movie Adaptations. Today my short story is M is for Music Box. LGBT theme in an AFAB sort of way. M is for mental tics. Today, as we reach midway of the challenge. I pay a tribute to Mumbai City. My notes and a bit about my experiences with Meditation. Mother Nature's cleanup crew is the topic of today's blog post.